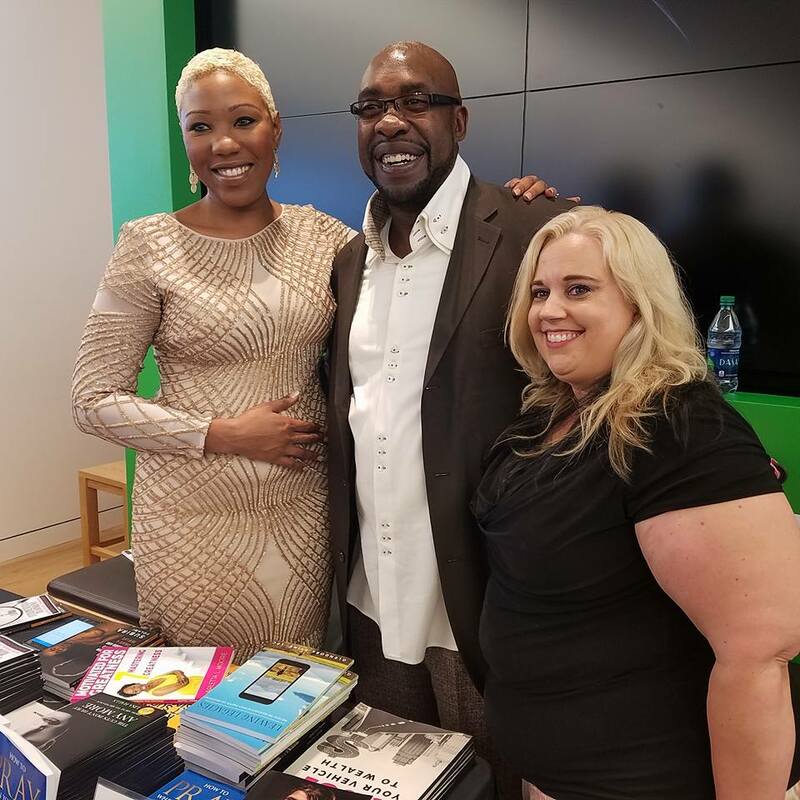 Atlanta, GA. -- on November 5th 2016 Best-Selling Author and Business Owner Desiree Lee hosted the first ever "Authors In Business Microsoft Book Signing" at Microsoft Store in Lenox Mall. 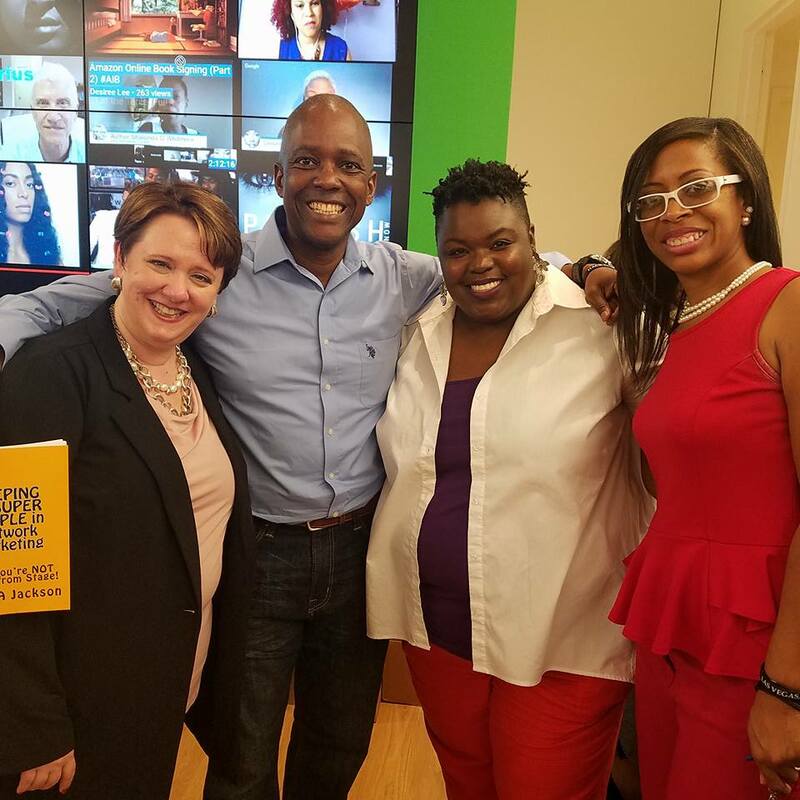 The event featured 15 Dynamic Authors from the around the country who are apart of the “Authors In Business Self-Publishing Community". A few featured Authors from the event from (left to right): Melissa Ruth, Mark A. Jackson, Myra J, Stepter, and Khalilah Wilbourn. The Microsoft Store was packed with fans and onlookers, those who attended gained powerful insight from the Authors. 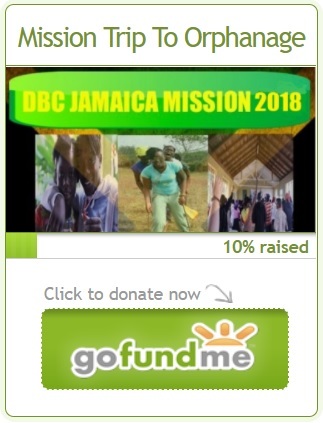 Prizes were given away to audience members. The event was very engaging, from the ranging topics to the energy of the crowd, it was one book signing that did not disappoint. The atmosphere was filled with excitement as the Authors shared their wisdom and expertise. VOW-Inspire Network was on hand to cover the event and got to feature some Great pictures on the fan page. Pictured from (Left to Right): Hostess Desiree Lee, Event Attendee, and Featured AIB Author Lisa Halls. If you would like to know more about the Microsoft Authors In Business Self-Publishing Community, the book signing, Authors, or get wisdom on Self-Publishing you can visit Desiree Lee's website: dleeinspires.com/publishnow and contact her directly through the webpage. Yes publish MORE BOOKS and change lives.